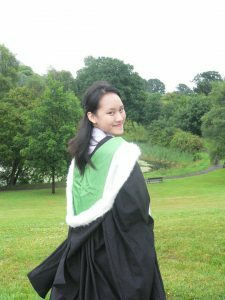 Ms. Sritala Dhanasarnsombut BAS Class of 2009 MA in Publishing Studies at University of Strilling (Scotland) Content editor, New Media Edge My name is Sritala Dhanasarnsombut. I graduated in 2009 from the Faculty of Liberal Arts, majoring in British and American Studies. BAS was my very first choice for my undergraduate degree because its classes were taught by high-quality and experienced professors. This was a great chance for me to practice my English skills, my language ability was raised to another level. BAS also provided many specialised classes for those who were interested in them. All of my teachers gave me valuable skills and knowledge, which has proven to be incredibly useful to me. All the courses I took in BAS made me confident I could study for my Master’s Degree of Publishing Studies in Stirling. I could see my English progress during the time I studied in the BAS programme, and greatly enjoyed experiencing the friendly environment of an international programme. This is a great advantage for BAS students who will work with foreign company or study abroad in their future.